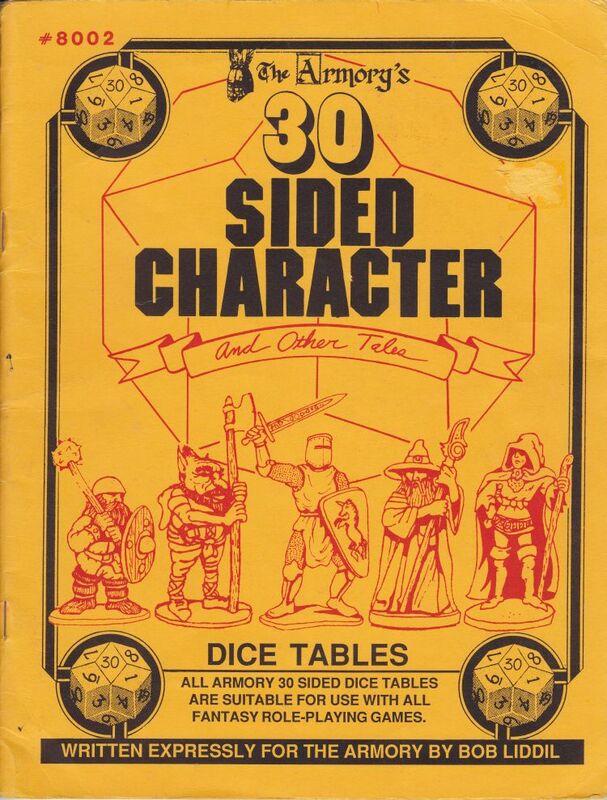 I mentioned last week that I had stumbled across a copy of The Armory's "30 Sided Character and Other Tales" (1986) by Bob Liddil. Check out a page dedicted to him on RPGGeek.com here. It had been a while since I had heard his name so I thought I'd refresh my memory about some of his work in the RPG field. Bob Liddil is no longer with us, sadly, but his work lives on and can be enjoyed by fans of RPGs even today. Bob Liddil worked both in the print RPG field, producing many "generic" Medieval Fantasy supplements for RPGs, and in the early computer adventure game field. I found an obituary for him on "Gaming After 40" (gamingafter40.blogspot.com) here. A list of his RPG field accomplished is long but a list of offerings he published directly as the Bob Liddil Publishing Group can be found here on the Tome of Treasures website. Aside from purchasing and attempting to resurrect the Sorcerer's Apprentice magazine, one of his most treasured publications include Griswald Grimm's Little Shop of Poisons and Potions (1988). Also prized is the aforementioned's sequel, Apothecary on the Street of Dreams is the Little Shops of Poisons and Potions Book 2 (1990).